Commercial Window Shutters – Clearwater – St Petersburg – Tampa – Shutters, blinds, shades and curtains. Manual or motorized. If it covers a window, it;s Hile’s. Office Window Shutters in Clearwater, St Petersburg and Tampa – Keep your cooling costs low, limit damaging UV rays, maintain privacy and security, and look professional – all at the same time. 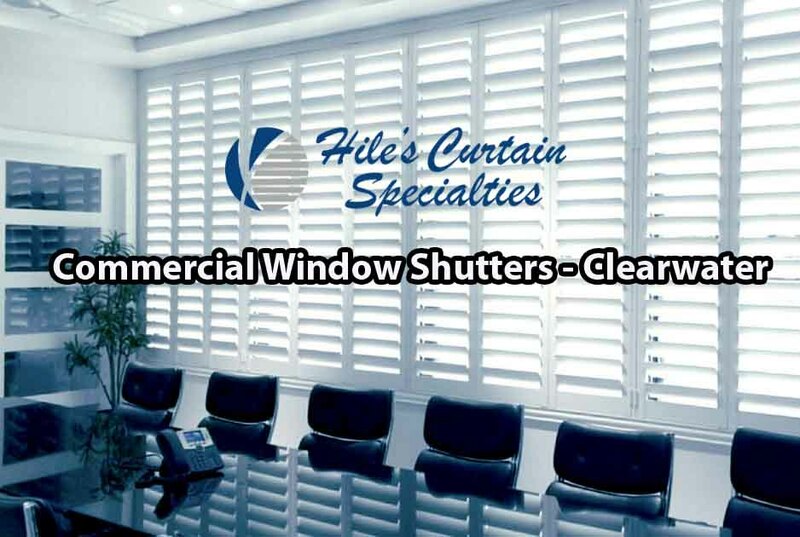 When it comes to custom window shutters, Hile’s Curtain Specialties rises above the rest. We are your source for beautifully crafted office and commercial window treatments. Our team is equipped with the skills, experience, and state-of-the-art tools to effortlessly provide you with stunning custom curtains, blinds and shutters ideal for both residential and commercial applications as well as office environments. Rest assured that with us, you receive exemplary product and services every single time, for every single window, even skyscrapers. Whether you’re a building owner, architect, interior designer, or you just happen to be looking for the very best supplier of custom commercial drapery, curtains, blinds, shutters and window treatments, you’ll enjoy superior service from our professional staff. With over 45 years of experience supplying custom window and wall coverings in a wide variety of commercial environments, to some of the largest stages in business, are a testament to the continued satisfaction of our valued clients and the quality of the window treatments and custom window treatments, drapery and curtain systems we furnish our clients. Additionally, having worked through just about every complicated window covering installation condition imaginable in over 4 decades of service, we have a solid working knowledge of both the industry and client needs. We can spot and fix troublesome specs before your drapery or curtain install This keeps your project on track and on budget. Even if you’re not quite sure about the very best way to control light or privacy in your commercial application, our experts will consult with you to provide the custom drapery or commercial window system that is right for you. From the initial design consultation to the expert installation and beyond, we are dedicated to helping you discover the best in custom commercial draperies, specialty curtains, blinds, shutters and other window, stage and privacy treatments that add beauty and functionality for any environment. 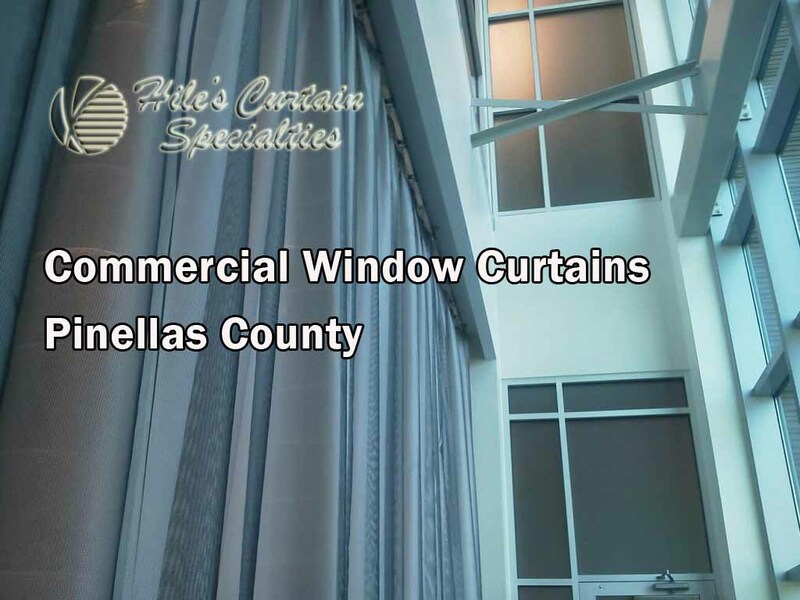 For Over 46 Years Hile’s Curtain Specialties has been a leading provider of Commercial Window Treatments in the Tampa/Clearwater/StPete Area.